China has many exotic tourist attractions. Much to see and explore in china. With a vast territory and a long history, China is Interesting to visit for your vacation. The Great Wall at Mutainyu is located in the Huairou District of Beijing. According to historical literature, this setion of the Great Wall was built under the supervision of General Xu Da of Emperor Zhu Yuanzhang in the early Ming Dynasty. The Great Wall of China is one of the greatest tourist spot in the world. 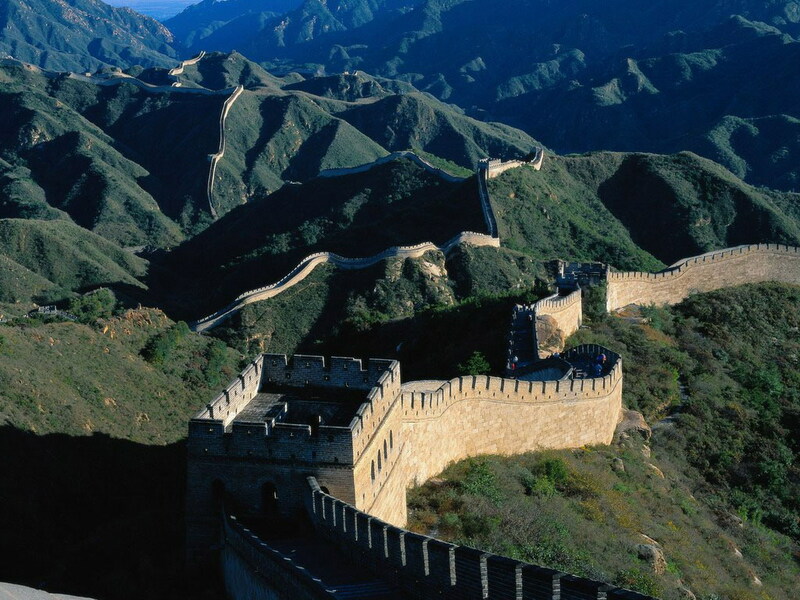 The longest wall in the world, it is an awe-inspiring feat of ancient defensive architecture. Its winding path over rugged country and steep mountains takes in some great scenery. Great Wall become the main tourist attractions in china you must visit. 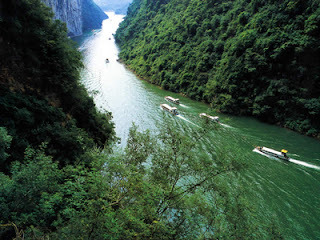 The Yangtze is the third longest river in the World, but the longest river within a single country. It has the highest source of any of the world’s major rivers at over 5,000 m (16,000 ft) above sea level, on the border of Qinghai Province and Nagqu Prefecture, Tibet. The Terracotta Army Museum lies 2 km east of The Tomb of Qin Shihuang, known as the First Emperor, who unified China 2,200 years ago. 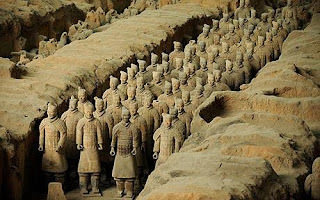 The Terracotta Army is one of the top attractions in China, because of its historical significance and uniqueness. It is significant because the hundreds of detailed lifesize models represent the army that triumphed over all other Chinese armies and who were the decisive factor in forming a united China. 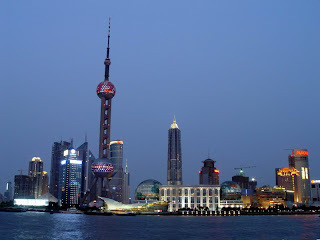 This popular tourist attractions in China is Located at Shanghai, east China. 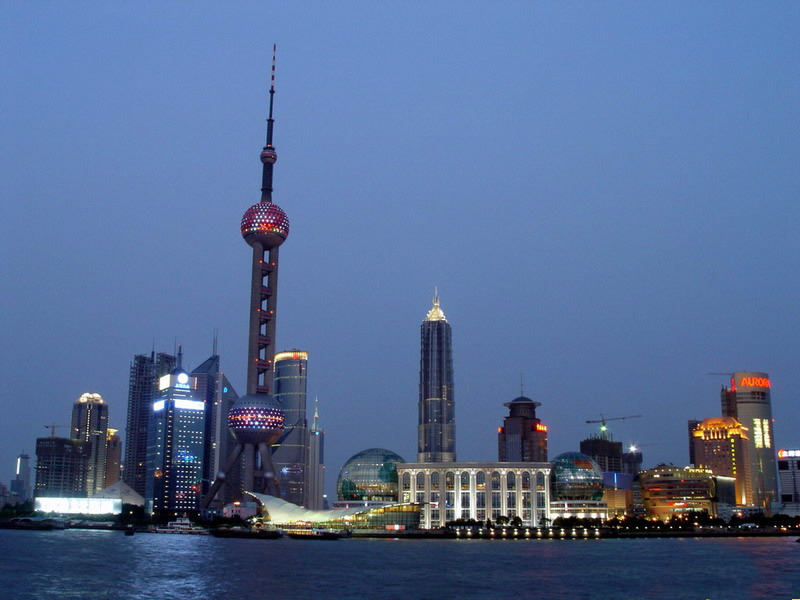 The Bund is one of the most recognizable architectural symbols of Shanghai, which extends from Jinling Road in the south to the Waibaidu Bridge over the Suzhou Creek in the north, is on the western bank of the 114 kilometer long Huangpu River, a tributary of the Yangtze River. Hong Kong has the tallest skyline in the world with four of the twenty tallest buildings in the world all in a small area around the bay. Appreciate modern skyscraper design. 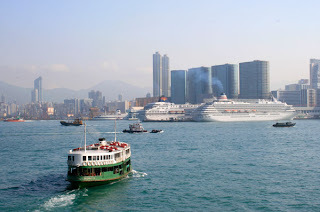 It's called Victoria Harbor. Wonderful and stunning views of the city and harbor area can be had in the observation decks of the tallest buildings and from Victoria Peak. During the day or evening, and perhaps especially during the Symphony of Lights most evenings, the view is beautiful and memorable. Most beautiful view that you can find in Li-River. The landscape is decorated with startling hills, steep cliffs, fantastic caves and farming villages, and is lined with bamboo groves. In a Chinese poem it is written: "The river is a green silk ribbon, and the hills are jade hairpins". 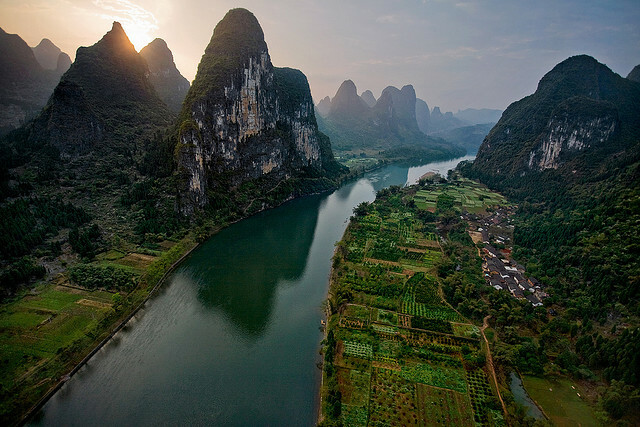 Li-River should do not miss kit if you visit China. It's located in Guilin, Southwest China. Located in Anhui Province, Eastern China, about 300 km (200 miles) west of Hangzhou and 500 km (300 miles) southwest of Shanghai. The glow of the sunrise and sunset draws the crowds to popular viewing spots. In here you could find the amazing view. 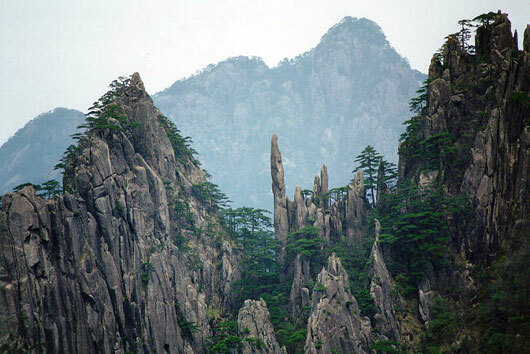 Yellow Mountain become one of a major tourist attraction in China. West lake is The most famous attraction in Hangzhou. The lake has a diameter of about 3 kilometers (2 miles) and a circumference of 15 kilometers (9 miles). 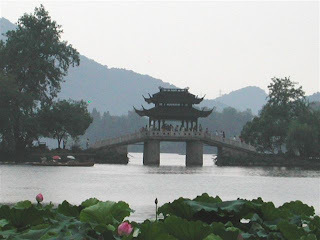 There are three causeways or bridges across the lake and three man-made islands named San Tang Yin Yue (Three Pools Mirroring the Moon). To admire the beauty of West Lake, visitors can leisurely bike around the lake, walk around the lake or take a short cruise on the lake. 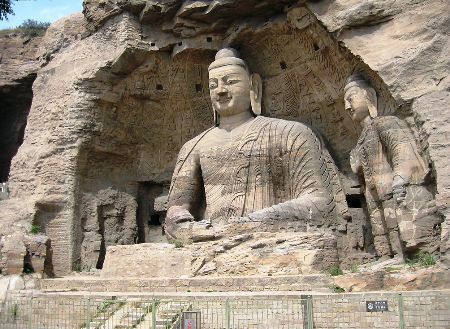 Yungang Grottoes with 252 caves and 51,000 Buddhist statues are the classical masterpieces of of Chinese Buddhist art in the 5th and 6th centuries. Yungang Grottoes represent the excellent achievement of Buddhist sculptural art of ancient China, and it is the largest among the four most famous ancient grotto complexes in China. Potala Palace is located on Moburi (Red) Mountain, to the west of old Lhasa. 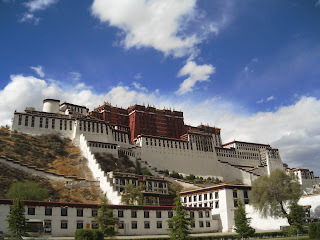 It is a huge treasure house of materials and articles from Tibetan history, religion, culture and art. The palace is widely known for the precious sculptures, murals, scriptures, Buddha statues, murals, antiques, and religious jewelry housed within. Those are a few information About 10 tourist attractions in China you must visit, hope can help you to plan your vacation.